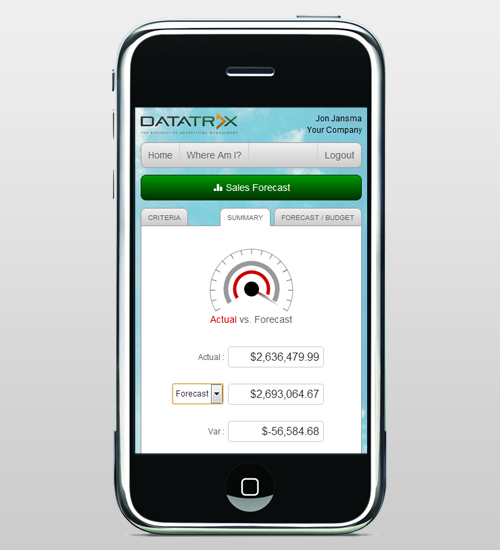 Datatrax® Nomad™ is our completely mobile customer relationship management system. No longer will the lively hood of your company's sales suffer due to busy work schedules, hectic personal lives, or even challenging commutes. Since Nomad™ is always in your pocket, with you at all times, your accounts and much more can be managed quickly, easily, and without delay. 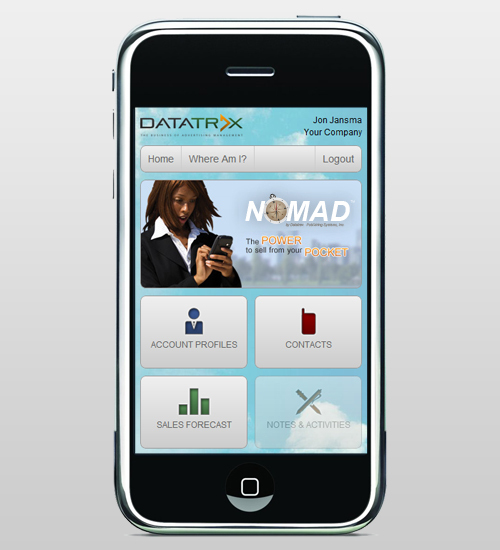 Nomad™ is Mobile CRM for "on the go" - access strategic, real time sales data to take advantage of advertising opportunities - and seal the deal! 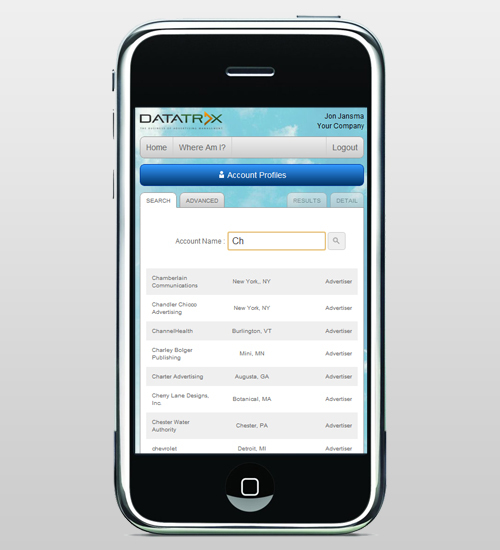 Map It - find your Clients near your location! Don't have time to get back to the office? 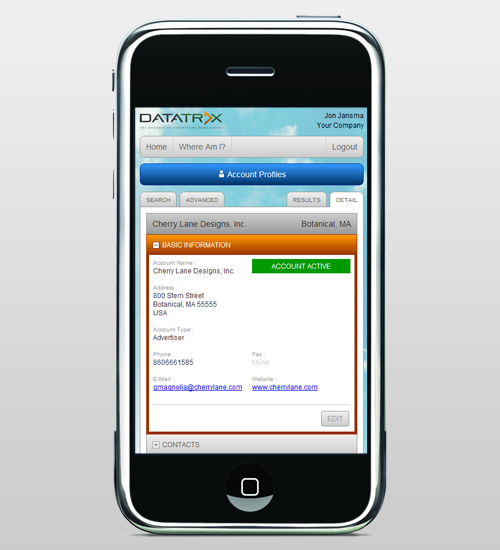 Use Nomad™ to log follow-up notes, log calls, set up reminders for upcoming events, check up on client payments - all from your mobile device! 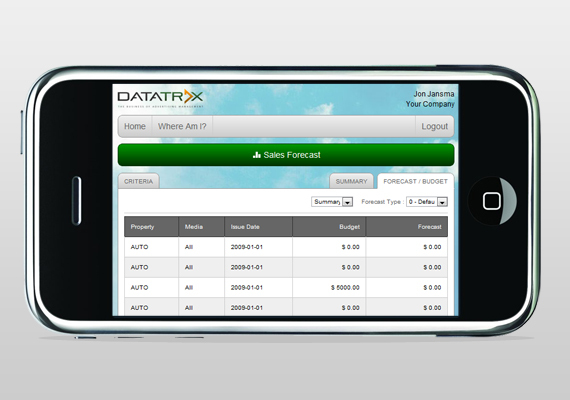 Check where your clients are spending their ad dollars with Datatrax Competitive Analysis! Nomad™ was developed from the ground up using HTML5 Canvas and smart objects making it the most current technology available! It runs on iPhone, iPad, Android, and Blackberrys running current models with current browsers - 3G, 4G LTE and Wi-Fi Proficient.